While conspiracy theories abound after the death of US Supreme Court Justice Antonin Scalia at a Texas ranch, more down-to-earth concerns have been raised: who paid for the resort trip and what disclosure guidelines apply to SCOTUS justices. Scalia died on Saturday while taking a vacation at the exclusive Cibolo Creek Ranch in West Texas, about 30 miles from the Mexican border. The ranch, which has functioned as a getaway for celebrities likes of Bruce Willis and Mick Jagger, is owned by John P. Poindexter. Poindexter is the owner of the Houston-based manufacturing firm J.B. Poindexter & Co., which brings in over $1 billion every year from its seven subsidiaries. One such subsidiary was battling an age discrimination lawsuit that made it to the nation’s highest court. Last year, however, the Supreme Court declined to hear the case. 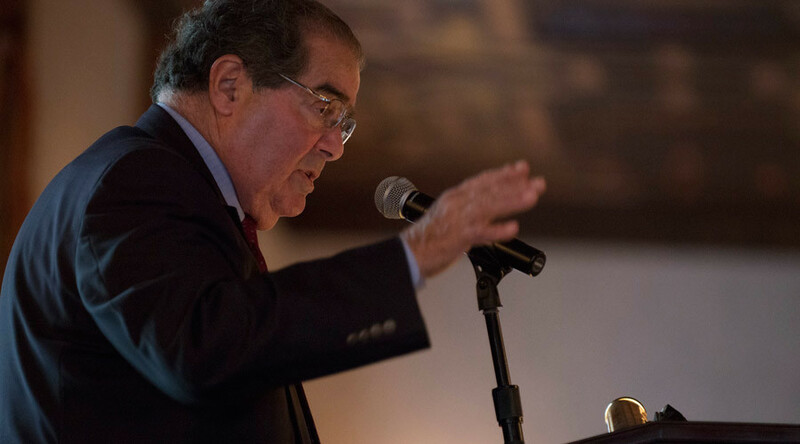 Scalia was not charged for his stay, Poindexter told The Washington Post. The ranch owner added that the justice was treated no differently than any of his other guests, none of whom were charged for anything as part of a 22-year policy for such events that are hosted two or three times a year. It’s not clear if the justice paid for his own ticket for the ranch or if it was a gift from someone else. Poindexter denied paying for Scalia’s charter flight to the ranch and declined to identify the friend who accompanied Scalia or any of the other guests on the trip. Poindexter also shed some light on details surrounding the judge’s death. Conspiracy theories began to circulate as soon as news of the death broke, thanks in part to the ranch owner’s initial statement that Scalia was found with a pillow over his head. He now tried to clarify the comments to CBS This Morning, saying that the justice "had a pillow over his head, not over his face as some have been saying. The pillow was against the headboard." No evidence of foul play has been found, and the conservative justice’s physician believed the death was due to natural causes. However, because no autopsy was performed, various conspiracy theories have cropped up. Some have suggested that Poindexter was in league with Barack Obama and poisoned Scalia, since the president would have the most to gain by appointing a new justice during his final year in office. Under the 1978 Ethics in Government Act, justices and other federal judges disclose outside gifts, income and reimbursements by filing reports. They are also required under the act, which was passed in the wake of the Watergate scandal, to report when someone who is not related to them gives them “transportation, lodging, food, or entertainment” worth a certain amount, according to the Post.